Laughter thunders from the group therapy room – pictured above – at the Salt Lake City Vet Center. 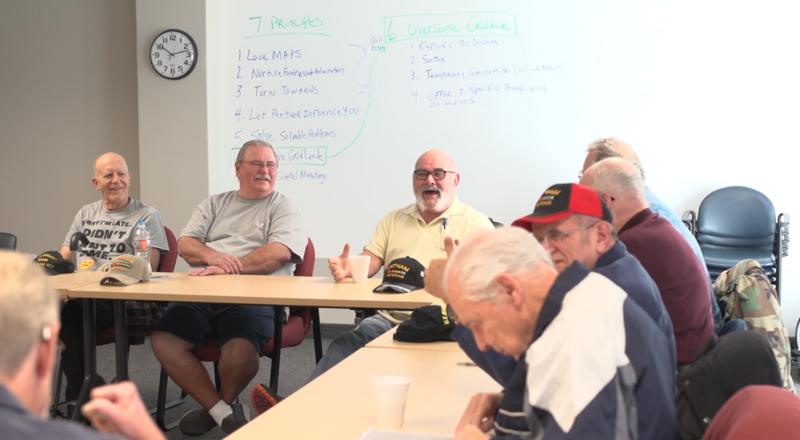 A group of about a dozen Vietnam Veterans, gather around tables arranged in a block “U” shape to start their monthly meeting. “Come on in,” says one Veteran to a new Veteran. “Welcome aboard,” says Navy Veteran, Gerald Alpin. A series of similar greetings follow as a Veteran new to the group walks up to the table, takes a seat, and introduces himself as Richard. “Another Richard,” the group shouts. And just like that, an easy rapport is established between the “newbie” and those who have been coming to the group, some of them for years. Candace Monzon, Salt Lake City Vet Center’s acting director, started the Vietnam Veterans Support Group about seven years ago. Candace was individually seeing multiple Vietnam Veterans at the Salt Lake Vet Center. Most of them felt alone and socially isolated. She could see the Veterans’ need to socialize with other people that really understood what they had been through, those other people, other Vietnam Veterans. Terry Smart, a US Army Veteran who served in Vietnam from 1968-1969, has come since day one. Since day one, Veterans made connections with other Veterans. Terry and two other Veterans made up the first group. Terry immediately knew one of the other Veterans, Darryl, from work. The group’s warm welcoming atmosphere helped Navy Veteran, Gerald Galpin, come to terms with his own service. “You were there,” replied an Army Veteran. “The aircraft carrier saved us,” remarked a Marine Corps Veteran. “Those aircraft carriers were a godsend.” “Amen! Amen!” said another Veteran. 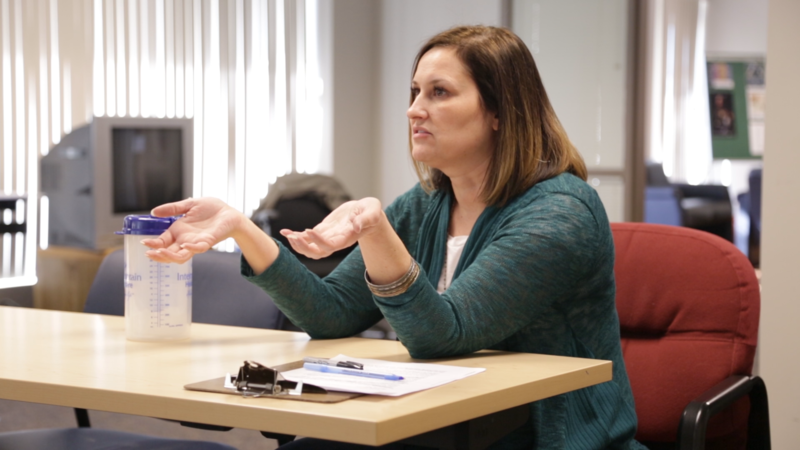 The group is more than just a bunch of Veterans swapping “war stories.” It also helps Veterans deal with a variety of issues, many stemming from Post-Traumatic Stress Disorder. Candace also helps the Veterans learn coping skills. On this day, she focused on breathing. She used the metaphor of firing a rifle to signify the importance of breathing. Just before you squeeze the trigger, you breathe in, acquire your target, fire, and then breath out. Jeremy M. Laird is a Public Affairs Specialist at VA Salt Lake City.